A subrogation claim is a loss caused by the negligent act of a third party. 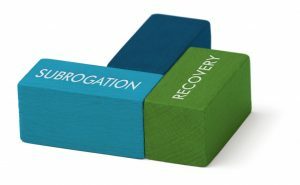 While the basic concept is relatively straightforward, subrogation recovery in the public sector is an area of claims handling often overlooked or forgotten. It involves both large and small investigations as well as analysis of losses for reducing expenses. George Hills’ Subrogation Division sets up a claim file upon receipt of the incident and maintains a claim file on each potential/actual incident reported. At that time, we assess and evaluate the nature and extent of each claim and prepare proof of loss statements to forward to the appropriate party. We initiate settlement discussions with the appropriate party through resolution and provide an account manager and lead subrogation adjuster to the claim. Subrogation Recovery Reports are provided weekly/quarterly—showing the number of cases, total lien amounts pending and total recovery obtained. George Hills’ Subrogation Division works aggressively to maximize recovery on behalf of our clients. We work to ensure that debts are resolved quickly, while adhering to current law and administrative methods. Our goal is to help debtors achieve long-term compliance and deter non-compliance. We negotiate settlements based on current federal and state laws to obtain the highest possible recovery, and our attorney is available to represent in litigation or negotiate a settlement. Ensures protection of the client and debtor’s rights, privacy and concerns. Resolves compliance issues in an impartial and professional manner. Understands all issues related to the cases we resolve. Educates the debtor to avoid future compliance issues. Offers voluntary options to resolve debts in order to minimize intrusion. Empowers staff to end cycles of non-compliance with appropriate action. Utilizes the least intrusive involuntary actions first, when voluntary options are exhausted.